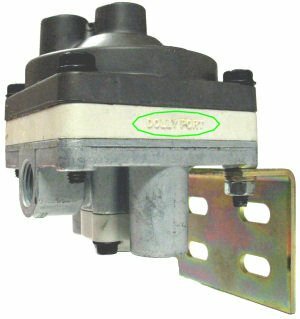 Dolly Control Line Valves are primarily used on dollies and turntable axles. 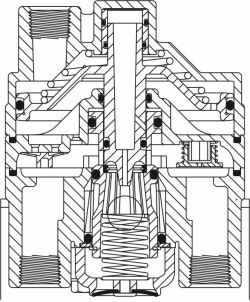 Their ability to increase control line flow speeds brake application and release times dramatically. The delivery port marked "Dolly" (see photo left and below) should be used to control dolly or full trailer turntable axle(s). Modified dolly port helps offset timing inbalances in certain brake systems. 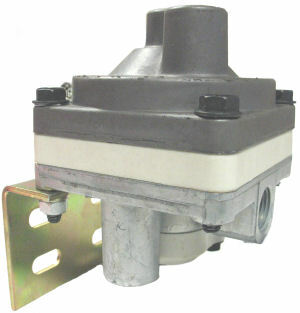 Provides a balanced control line signal for uniform braking of multi-axle combination vehicles or full trailers.